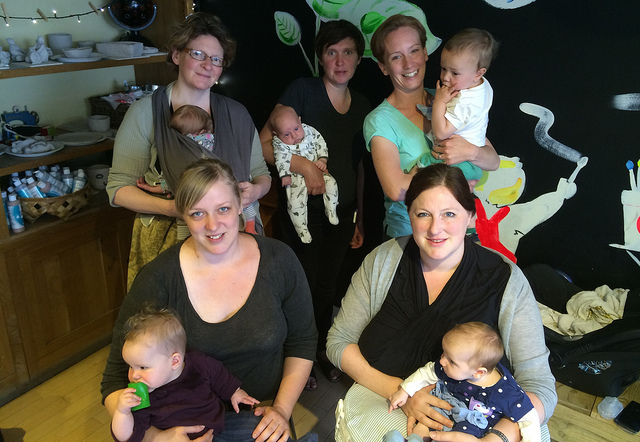 A vital breastfeeding support service in Lambeth and Southwark has been cut without consultation this week. King's College Hospital NHS Foundation Trust announced the community breastfeeding clinics (also known as cafés or Milk Spots) are losing their funding from September. As a result, essential daily face-to-face support for mothers learning to breastfeed, often hosted in children's centres, will no longer be available. The news began to filter through social media networks during National Breastfeeding Week (20-28 June), a national scheme aiming to promote the many benefits of breastfeeding and the need for breastfeeding support. A petition about the decision has reached over 2,000 signatures in five days. The service has been running for 10 years with impressive results: the number of mothers initiating breastfeeding in Lambeth stood at 91.8% in 2013, far above the national average of 74%. A spokeswoman for King’s College Hospital told Londonist, “King’s currently provides a team of four midwives to support the Community Breastfeeding Clinic, which is run by Lambeth and Southwark Borough Councils. The midwives are provided on a secondment basis, which we subsidise. Unfortunately, we are not in a position to extend the midwives’ secondment". A Southwark Council spokesperson said, “Southwark and Lambeth Councils received notification this week that Kings would be withdrawing the service due to other demands on their midwives’ time and financial pressures. We value this service, as do many mothers, so we will be urgently seeking to meet with Kings, Public Health and NHS commissioners to ensure that local women have access to such important services”. Anna Cannon, Children's Centre Specialist Midwife and Lactation Consultant told us the news had made her feel extremely sad, angry and frustrated. "While I understand that King's faces challenges in this time of austerity, it makes no sense to cut what is one of the hospital's best services as far as results are concerned. Figures for breastfeeding in this area are above the national average because of the Milk Spots." Cutting the service seems to reflect a very short-termist solution from the NHS, which reports on its own website that increased breastfeeding would "save NHS millions" in the reduction in childhood diseases and breast cancer rates. Michaela Lawrence, who set up the petition, told us, "Without this service, I would not have been able to breastfeed. I required the specific expertise of the midwives who run the clinics with both my daughters. By shutting these clinics, Kings are effectively taking away my choices in how I feed my children. "The response I've had to the petition has been enormous. I've had mums in tears at the thought of no longer having access (to the Milk Spots)". This isn't the first time local London breastfeeding services have been axed: in March this year, Brent CCG cut the funding for its breastfeeding clinics. As a result, Northwick Park hospital lost its UNICEF Baby Friendly hospital accreditation. If a best-in-class service from a London teaching hospital can be cut without consultation, then what is safe within London's NHS?